Please enter “Our Reference” which can be found in the top right of any correspondence you have received from us (view sample) and then complete the rest of the form. Please confirm the amount you wish to pay (in the box below). Please confirm that you agree with our terms and conditions. To see the details of our terms and conditions please click here. If you wish to proceed with this payment, please click the Process Payment Button Below. If you experience problems using this Payment Portal or need to pay multiple accounts please contact between 9am and 5:30pm on 0208 234 6775. We use 3D secure to verify your payment directly with your bank and use SSL encryption to ensure secure transmission of your card data. © 2017 Debt Recovery Plus Limited ALL RIGHTS RESERVED. 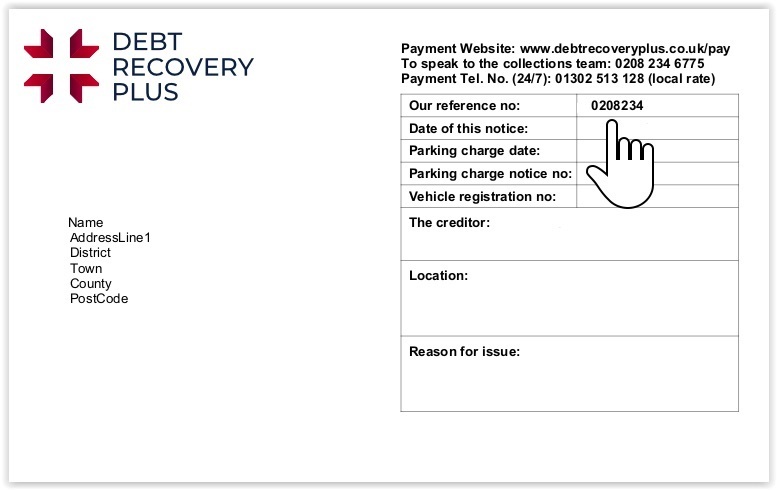 Debt Recovery Plus Limited. Registered in England and Wales. Registered office: 78 York Street, London, W1H 1DP. Company Registration No. 6774150. VAT Registration No. 285292670.